This meticulously redesigned corner three-bedroom, three-bathroom haven features expansive cityscape views and two elegant balconies off the main entertaining space. The adjoining living and dining room are further enhanced by wall-to-wall Thermopane windows offering direct North and Western exposures. The windowed open chef's kitchen is replete with Quartz countertops, Porcelanosa tiling, ample breakfast bar that overlooks the living and dining area and outfitted with top-of-the-line appliances, such as a Fulgor range from Milan and Leibherr refrigerator. 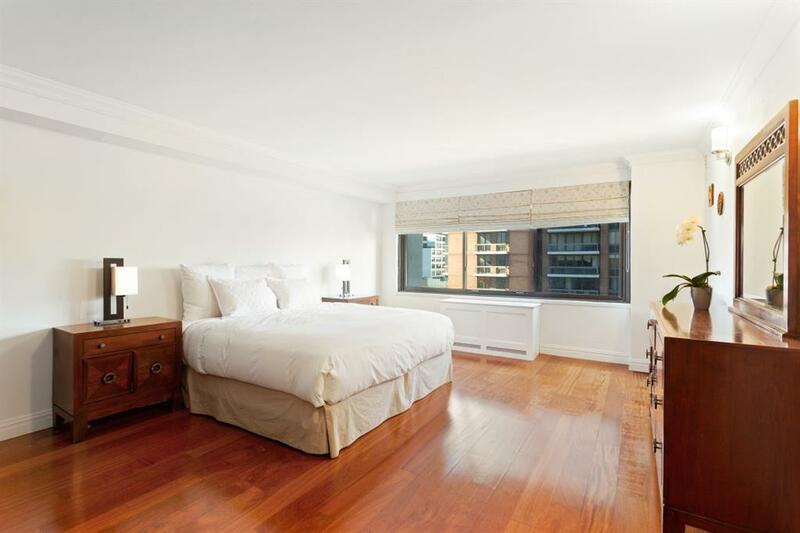 The spacious master suite features a large walk in closet and hosts a bank of closets to accommodate attire and gear for all of New Yorks seasons. Experience ultimate zen in the large master bathroom with a Kohler deep soaking tub, steam shower and a dual sink vanity. 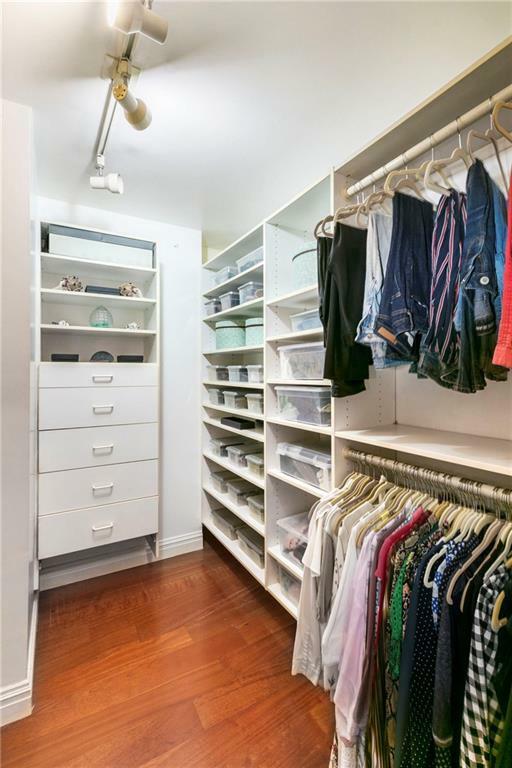 The second and third bedrooms are sizable and both feature custom built-in closets as well as access to a separate full bathroom. Accentuating the level of detail taken at every corner of this meticulous renovation is wide-plank hardwood flooring, custom halogen and LED lighting, abundant fitted closets, in-unit washer and dryer, decorative crown molding and HVAC units in every room. The Thermopane windows also provide thermal efficiency and sound reduction throughout.The Landmark is a full-service cooperative with 24-hour doorman, concierge, live-in super, landscaped roof deck, storage, laundry on each floor and garage with access through the building. Pet friendly. 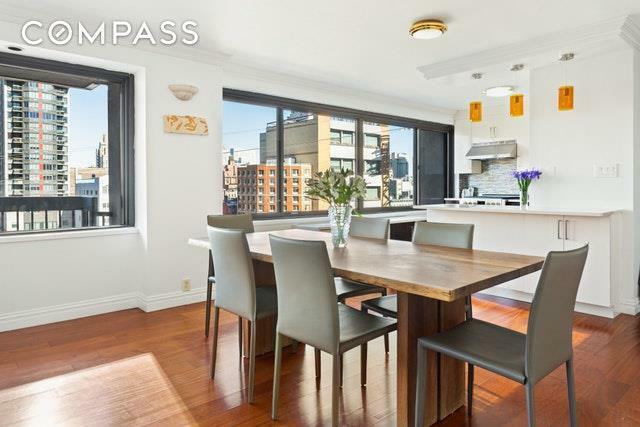 Perfect as a primary residence or pied-a-terre. 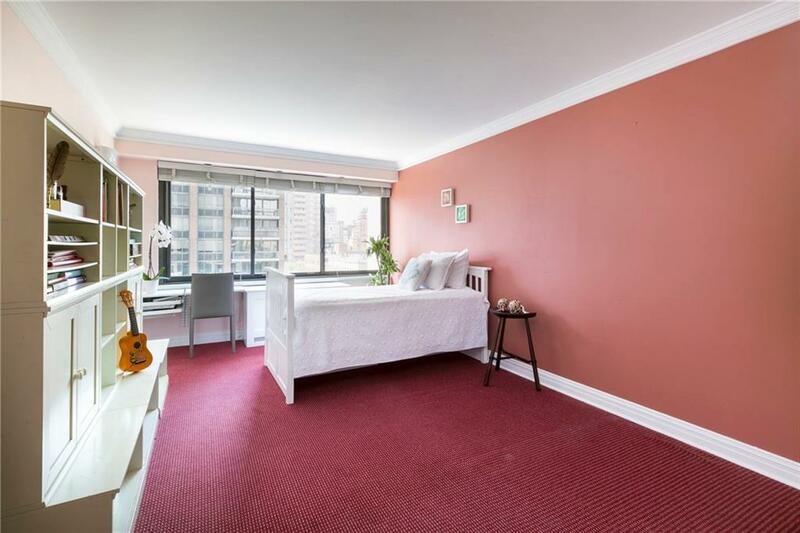 Ideal midtown location in the heart of Manhattan, one block from Bloomingdales, two blocks from Whole Foods and near multiple transportation lines. This is not a land lease building.